Titanium Metallic 2006 Toyota Avalon XL FWD 5-Speed Automatic with Overdrive 3.5L V6 SMPI DOHC 5-Speed Automatic with Overdrive, ABS brakes, Front dual zone A/C, Illuminated entry, Remote keyless entry. Odometer is 68352 miles below market average! 22/31 City/Highway MPG Awards: * 2006 KBB.com 10 Best Used Cars Under $8,000 At Martin Chrysler, we will never be undersold! Come as a customer, leave as a friend! Go to MartinChrysler.net for more details and photos. Ultra Black 2014 Hyundai Accent SE FWD 6-Speed Manual 1.6L I4 DGI DOHC 16V gray Cloth. 27/38 City/Highway MPG At Martin Chrysler, we will never be undersold! Come as a customer, leave as a friend! Go to MartinChrysler.net for more details and photos. Brilliant Silver Metallic 2013 Nissan Altima 2.5 S FWD CVT with Xtronic 2.5L I4 DOHC 16V CVT with Xtronic. Recent Arrival! 27/38 City/Highway MPG Awards: * 2013 KBB.com 10 Best Family Cars * 2013 KBB.com 10 Best New Sedans Under $25,000 At Martin Chrysler, we will never be undersold! Come as a customer, leave as a friend! Go to MartinChrysler.net for more details and photos. Stone White 2009 Dodge Ram 1500 SLT RWD 5-Speed Automatic HEMI 5.7L V8 Multi Displacement VVT HEMI 5.7L V8 Multi Displacement VVT. 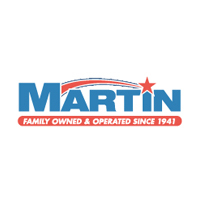 At Martin Chrysler, we will never be undersold! Come as a customer, leave as a friend! Go to MartinChrysler.net for more details and photos.